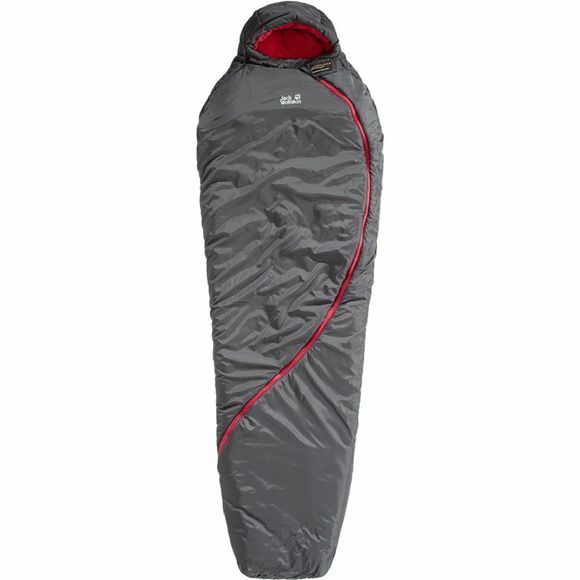 The Smoozip -7 Sleeping Bag provides a good level of heat retention from spring to autumn. It's insulated with soft, robust synthetic fibre interlining. This is reinforced with an additional layer around the head, torso and feet, meaning areas vulnerable to the cold are especially well insulated. A close-fitting hood with a stand-up collar ensures good insulation around the head. The zip path follows an intuitive movement when you lie down or sit up, making the sleeping bag especially easy to open and close.